Located in Kallangur, North Brisbane (30km North of the CBD). Our Nurse Practitioner led sexual health clinic provides a confidential and supportive environment for your sexual health needs. Covering STI/STD testing, sexual education, reversable contraceptive solutions, maternity and post-natal support, and sexual assault support. Our sexual health is an important part of our overall health and welbeing, yet so many of us neglect it. The topic of sexual health is often avoided. We dont want to think about it, and we dont want to talk about it. That is why the rates of STI diagnosis has been increasing. We avoid thinking about it, let alone actually talking about it. We pretend we could not possibly be at risk, but unfortunately, that is not the case. Sexual health issues can affect anyone, of any age and any sexuality. If you are sexually active then face the facts and be sexually responsible – know your sexual health. 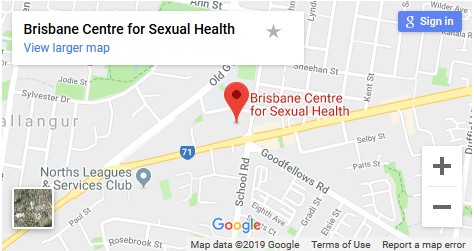 The Brisbane Centre for Sexual Health offers you affordable and confidential sexual health services. There is now no reason to avoid your sexual health. Book a check-up or come in for a sexual health discussion if you have any questions or concerns. We are located inside the Family Practice at Kallangur as part of their Allied Health Centre. You will therefore need to check-in at the Family Practice reception where you will be directed to the allied health waiting area. This set up offers you extra confidentiality as you make your appointments through the Family Practice, rather than a designated sexual health clinic, so no one will even know why you are there. Comforting right? We hope this makes you feel a little more confident visiting us. For more information please call us. Patient privacy is a high priority for us. Any information you share with us will be confidential. This means we will not routinely discuss you with anyone else (including your GP). We only share information with your consent when this may be important for your health. Teenagers under the age of 18 years, please view our Information for Teens page for our parents/guardians policy.